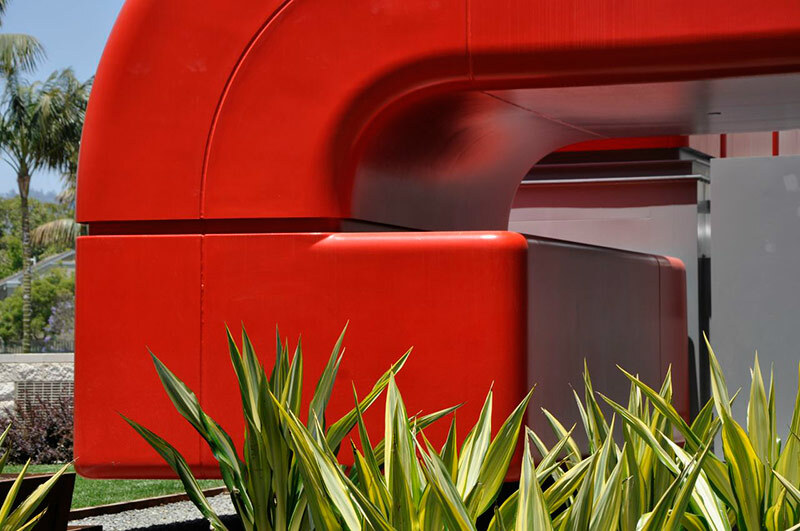 CTC realized Piano’s design concept by designing and fabricating a cladding system of a structural steel tube framework covered by extensive FRP panels. 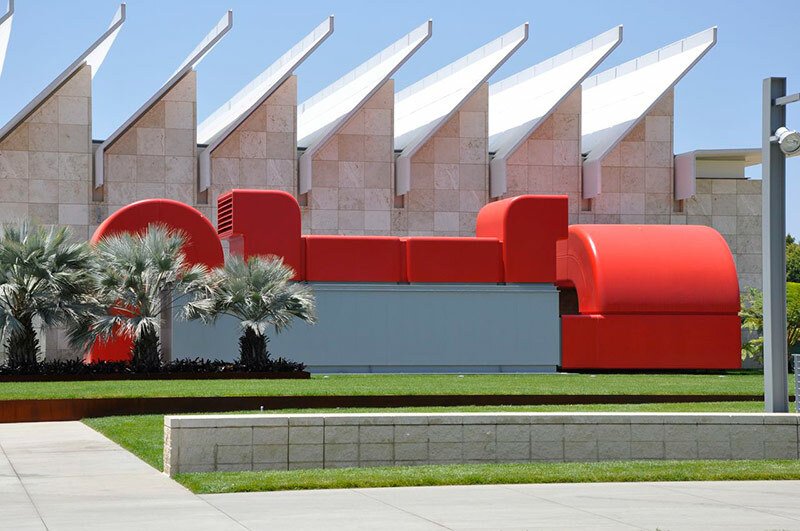 For his design of the Resnick Pavilion at the Los Angeles County Museum of Art (LACMA), Renzo Piano revived an idea he first explored with Richard Rogers in their design of the Centre George Pompidou in Paris: the idea of the building as an organic breathing machine. 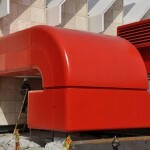 At Pompidou, the architects turned the museum’s mechanical systems into expressive elements, color coding the pipes, ducts, gantries, and escalators and pulling them to the exterior of the structure. 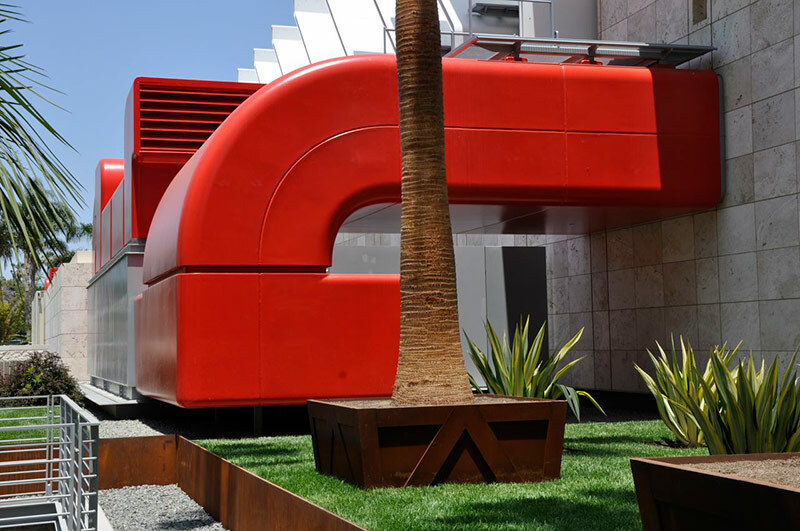 At the Resnick Pavilion, Piano located the mechanical rooms and air handling units prominently outside the four corners of the 45,000-square-foot building, applying cladding to the ductwork in a bright red color used in circulation corridors throughout the LACMA campus. 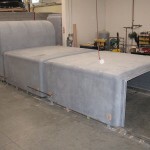 Piano turned to Capastrano Beach, California-based design/build firm CTC (Creative Teknologies Corporation) to realize his design concept. “We took in data from three parties,” said CTC president Eric Adickes. 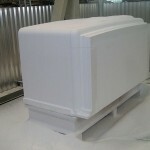 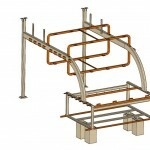 “Piano gave us perspective sketches of how he wanted the air handling units to look, the air conditioning contractor, Acco, gave us Revit drawings, and the general contractor, MATT Construction, gave us 2D Autocad documents of the building and concrete foundation.” From those sources, CTC developed 3D models of a cladding system for the ventilation ducts using CATIA. 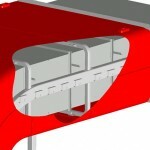 Once Piano signed off on the models, CTC fed the CATIA data into its CNC routers, which cut the profiles from the FRP panels. 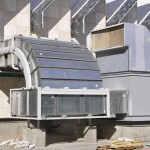 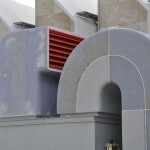 CTC also installed the cladding system, attaching the steel structure to the ductwork and the FRP panels to the steel. 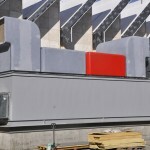 Once installed, the firm painted the panels on-site.